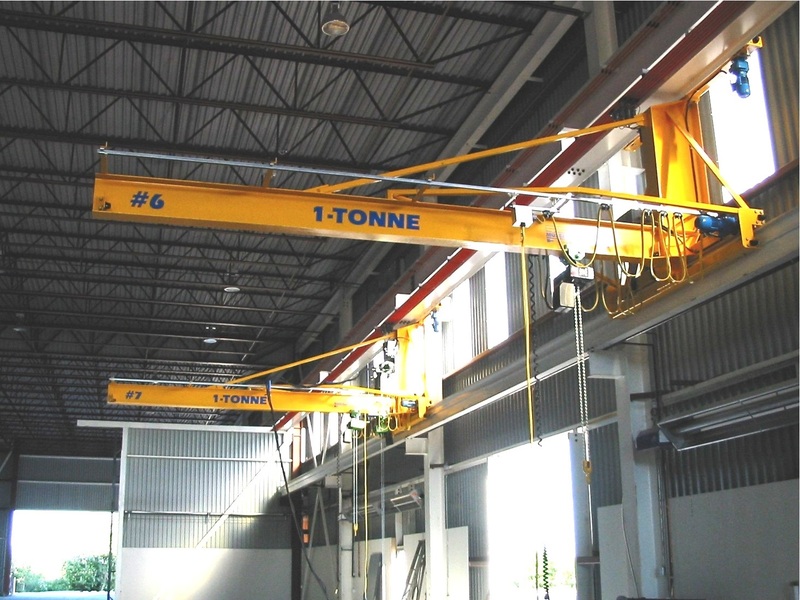 Mussell Crane offers a wide range of Jib and Davit styles for multiple applications. 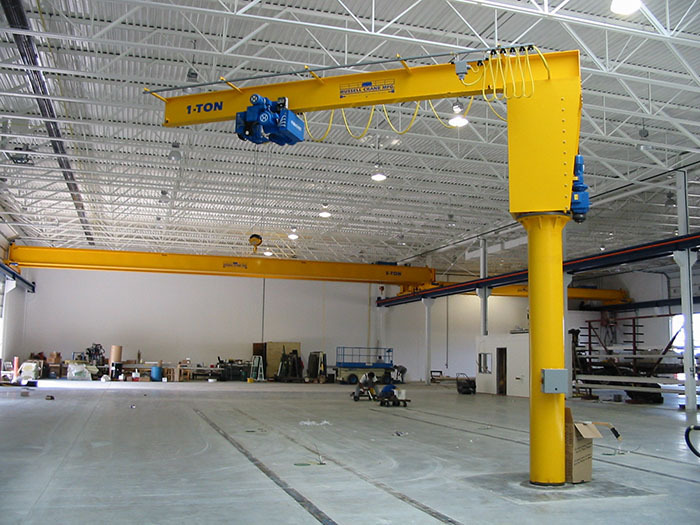 Jib and davit cranes are designed to maximize the utilization of small spaces. 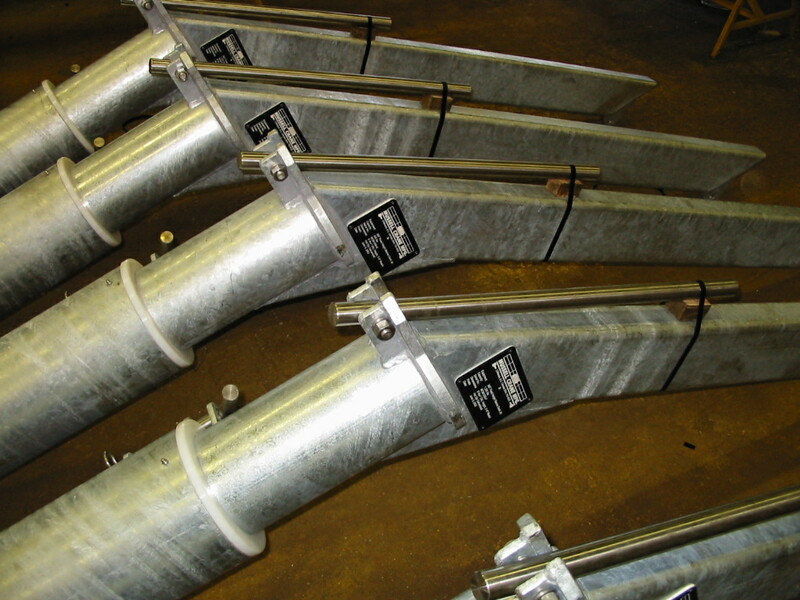 Styles include wall mounted jib, wall travelling jib, free standing jib, and marine davit. Each of these styles (and many more) are all custom designed to suit your needs. 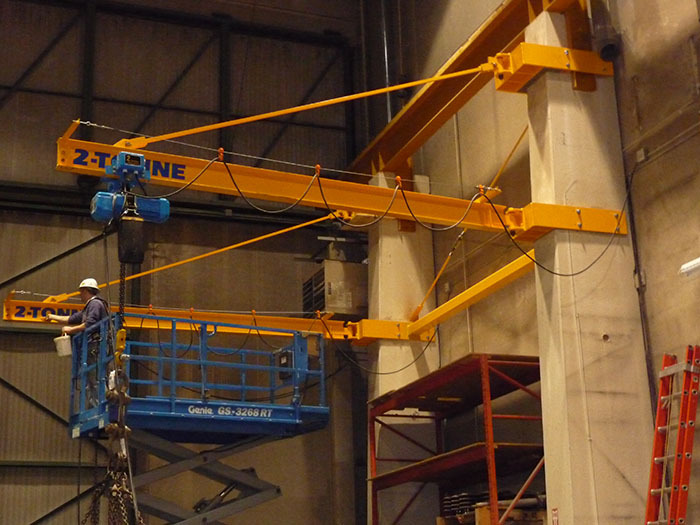 Whether it’s for workstation areas, seaside docks, or just a cost effective replacement for an overhead crane, we do it all. 2-Tonne Wall Mounted Tie-Rod Jib (pictured left). 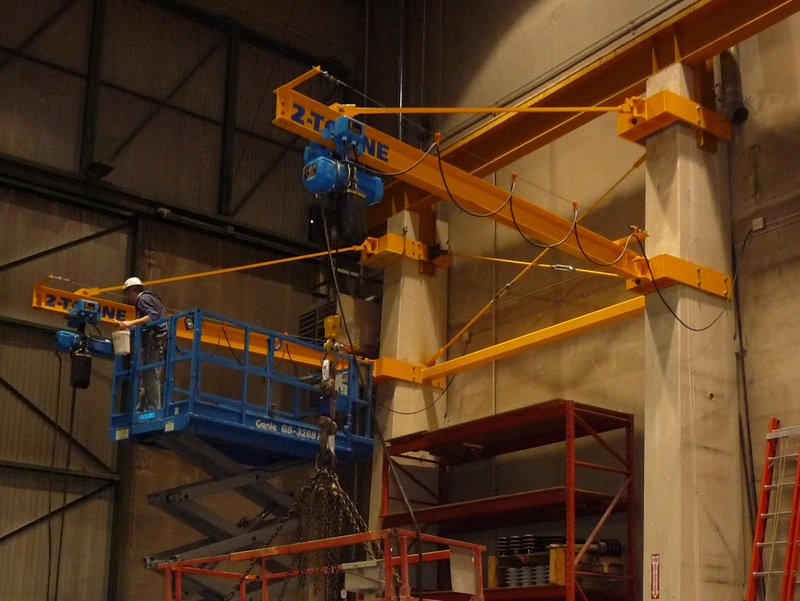 2-Tonne Wall Mounted Tie-Rod Jib (pictured right). 3.2-Tonne Wall Travelling Jib (pictured left). 1-Tonne Wall Travelling Jib (pictured right). 1-Ton Free Standing 360° Rotational Jib (pictured left). 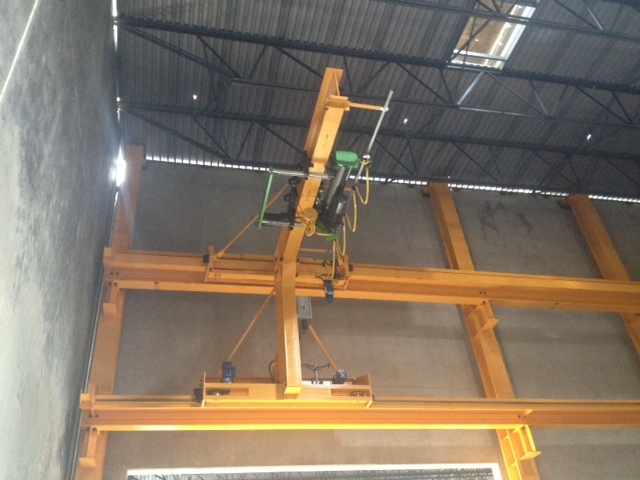 10,000 Lbs Free Standing 360° Rotational Jib (pictured right). 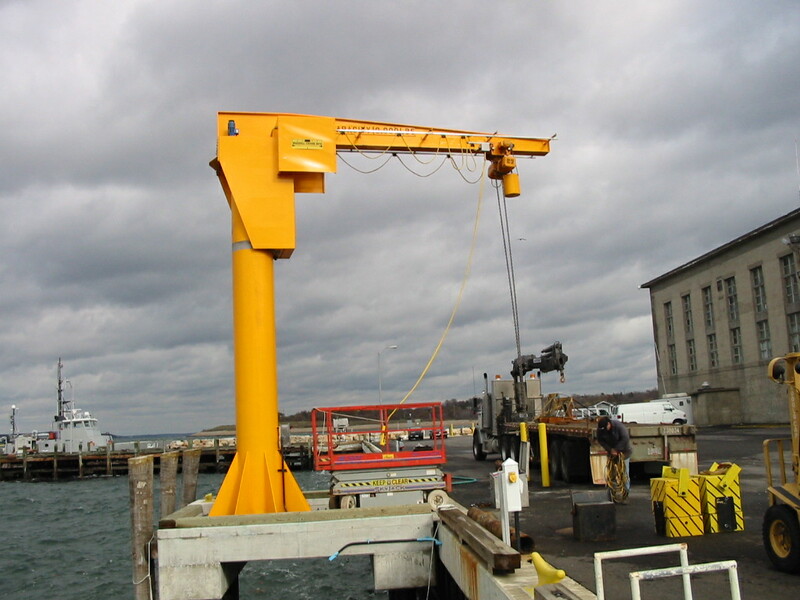 2500 Lbs Marine Davit (pictured left). 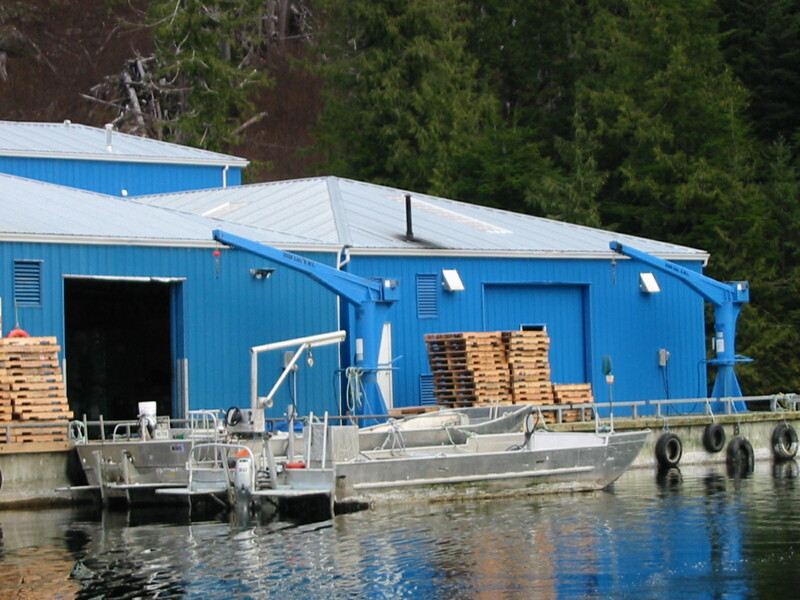 400 Lbs Galvanized Marine Davit (pictured right).